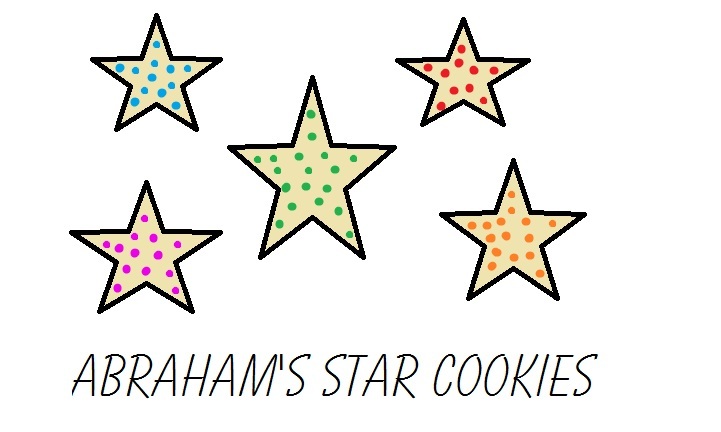 Use the star cookie cutter. Bake the cookies according to package. 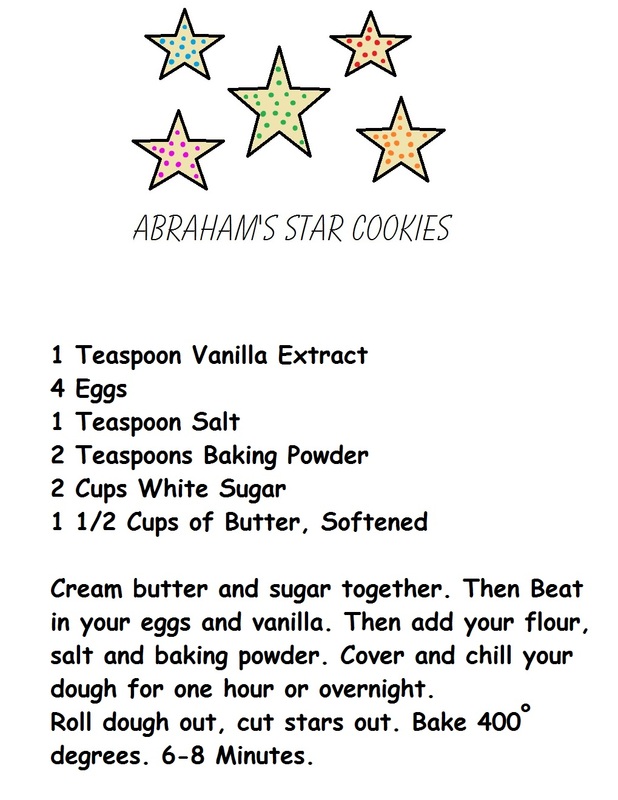 Now you have Abraham's descendants like stars cookies! Want a Take Home Bag? 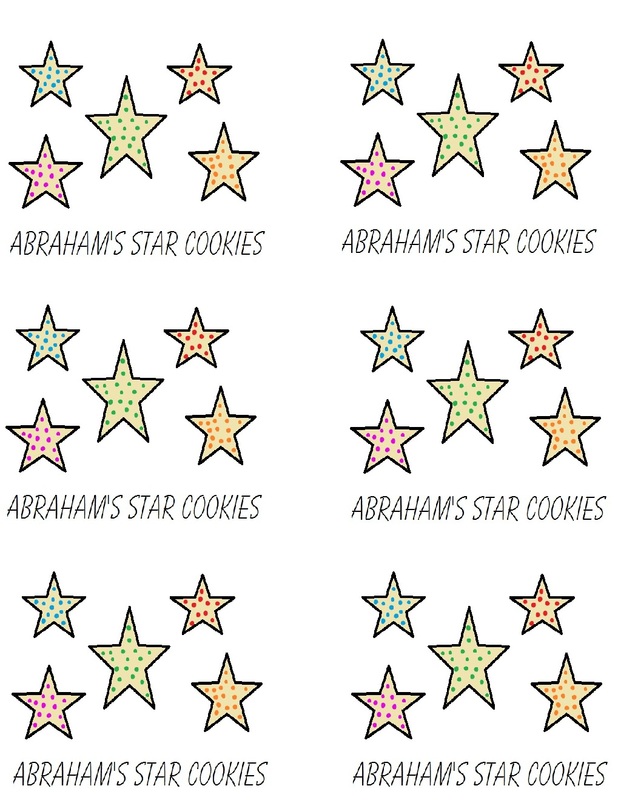 If you want to make a take home bag for them then just make some homemade sugar cookies from scratch so you can make more cookies, and just print this Cookie Template and Scripture Template out. 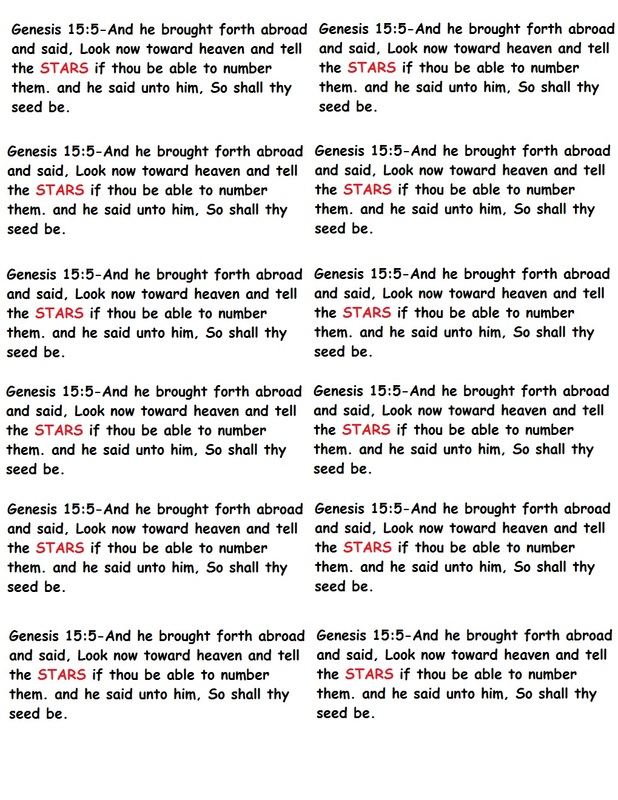 Cut them out, and tape it to the brown paper bags. Put your homemade cookies in a ziplock bag, and then put it in the brown paper bag. Staple the top of the bag.